We’re enjoying our month-long exploration into good-value, low-price wines generally under $10 (or the equivalent in Euros, Pounds Sterling, Yen and such) in Wine Focus: How low can you go? Here are my reports on three more good cheap wines, including two French reds and an excellent white from Italy’s lake country. See below, also, for links to buying information on another half-dozen good cheap wines that I’ve enjoyed recently. The back label suggests enjoying it alone or with Mediterranean cuisine, pasta, lamb, chicken, pizzas and hamburgers, and the importer’s website recommends tagines, “oriental” dishes, pastas, poultry, barbecue, red meat and cheese plates. We enjoyed it with a rich meatloaf and simple grilled chicken. WHEN TO DRINK: This modest wine isn’t a candidate for long-term cellaring, but there’s no rush to enjoy it. Drink over the next few years, then watch for a more recent vintage. My local price came in a dollar less than Wine-Searcher.com’s $11 average retail, but it remains a very good value in the $10 range. 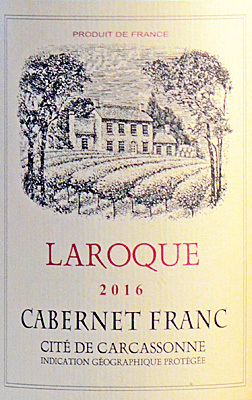 Here’s a detailed winery fact sheet (PDF format) on the Laroque 2016Cabernet Franc. 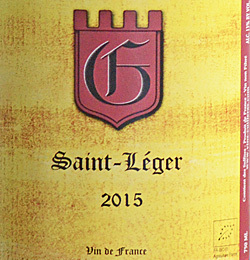 Find vendors and compare prices for Laroque Cité de Carcassonne Cabernet Franc on Wine-Searcher.com. FOOD MATCH: The winery website suggests enjoying the wine on its own or serving with white meats or fish and seafood. We enjoyed it with roasted asparagus topped with Parmigiano and a cheesy, smoky artisanal grits in lieu of polenta. WHEN TO DRINK: Lugana can age very well for a modest white – I’ve enjoyed amazingly good ones more than 30 years old kept under perfect storage conditions at Lugana wineries near Lake Lugano. But hints of oxidation combined with the closeout price suggest that this bottle is nearing the end of its useful life. This older vintage’s closeout price is less than half of Wine-Searcher.com’s $11 average retail. Frankly, newer vintages would still be a bargain at the regular price. Here’s a fact sheet in English on the winery website. 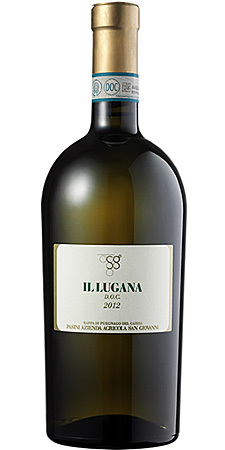 Locate vendors and check prices for Pasini San Giovanni 2011 “Il Lugana” on Wine-Searcher.com. FOOD MATCH: This rustic red is a natural with beef, burgers, pasta with meat sauces and the like. We enjoyed it with both an intensely flavored meat loaf and white chicken meat in gravy. WHEN TO DRINK: Now through 2020, perhaps a few more years under good cellar conditions. Wine-Searcher.com doesn’t list prices or vendors for this close-out bottling, but it’s a great value for eight bucks if you can find it at a local retailer. Check this Wine-Searcher link, though, to browse a wide variety of inexpensive, frequently appealing Vin de France reds. Here’s a backgrounder in English on the Domaine La Guintrandy property and wines. Unfortunately Wine-Searcher.com has no listings for this close-out label, but you can find all the designated Rhône wines of Olivier Cuilleras Domaine La Guintrandy at this link on Wine-Searcher.com. Want tips to more good, inexpensive wines? Here are Wine-Searcher links to vendors and prices for a half-dozen more wines for $10 or less that I’ve told you about during the past few months. Please tell us about your favorites!